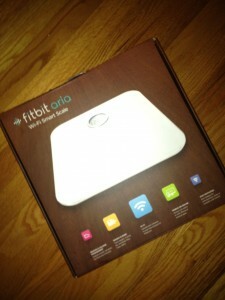 Weight Loss Tools I'm Using Includes @FitBit - JP loves LIFE! I know a lot of bloggers get freebies sent their way to write up reviews and all but since this is a weekend past-time, I seem to miss out on most of those things. I do however, end up now and then wanting to post about a product I’ve used and found helpful. So what is so good that I’d not only pay $100 bucks for it but give it some free PR? The one I’m prompted to write about tonight is something called a FitBit. I know, it is a goofy name, but stick with me for a few minutes. The first of the year, I posted that I had been working on my weight. The first big area for me was eating better, I’m buying far more fresh fruit & vegetables than before and eating breakfast everyday. But I knew I needed to exercise more too. So I’ve been working on it but really had ups and downs on it, especially while traveling. And so I bought the “FitBit” in August and have to say it’s helping me a lot! Think of it like a pedometer on absolute steroids. I bought the one called the FitBit Ultra so let me tell you about it, you can read up on the other models if you are interested cause there are several of them with the one I got being the top of the line when I bought it in August. So let me get to explaining why I’d take the time to write this up. Tracks flights of stairs I have climbed. It is designed for people like me who have a tendency to get busy and forget what’s up. One of the things I like best is probably a no brainer for others but it tracks time and resets itself automatically at midnight. But what I really think is awesome is that the FitBit stores & uploads the data to my profile online. It’s rechargeable and works based on bluetooth technnology. 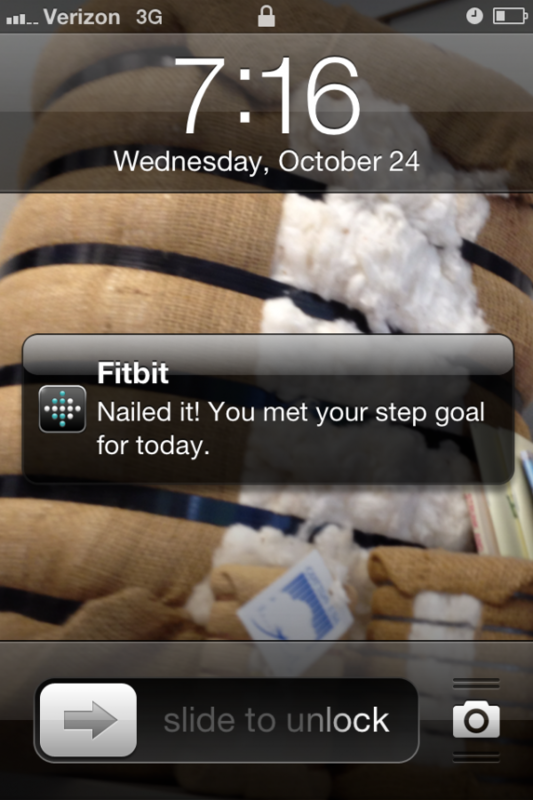 That is awesome because right now I’m nowhere near as active as I should be. I get that. But this lets me see that I am improving slowly and surely. And it lets me access it during the day and gives me a nudge that I can do a bit better. And I’ve been doing well with weight loss (slowly but surely) but I know it would be much easier if I were more active. If you didn’t know I love data, I do. Granted I have trouble with numbers, but if a computer can track them for me, then I can get along quite well! LOL! This one does it day-to-day and over time too. And it shows me where I am in comparison to goals. Check out what a typical screenshot is like — I snapped this Sunday afternoon as I worked on this post. Since the FitBit Ultra has been working out so well and another thing I need to figure out long-term is keeping an eye on my weight. For the past year, I’ve been tracking it at WeightWatchers meetings but that’s probably going to stop eventually and I’ll still need an eye on it. I had seen the FitBit Aria when I bought the other one and kept that in the back of my mind as I was deciding whether or not it really seemed to deliver. Since the FitBit Ultra worked really well, I decided to go ahead and get the Aria. Collects weight, body fat percentage and body mass index (BMI). Updates wirelessly to the tracking system. Graphs it out and lets you see it. Will recognize up to 8 people. Let’s you decide who you share what info with or whether it is all kept confidential. For someone like me who doesn’t do a good job of tracking things, its great to know I can step on the scale regularly and at the same time have it update the database so I can look at the cumulative impact of my effort, which is really important since I’m trying to lose weight in a healthy, sustainable way. 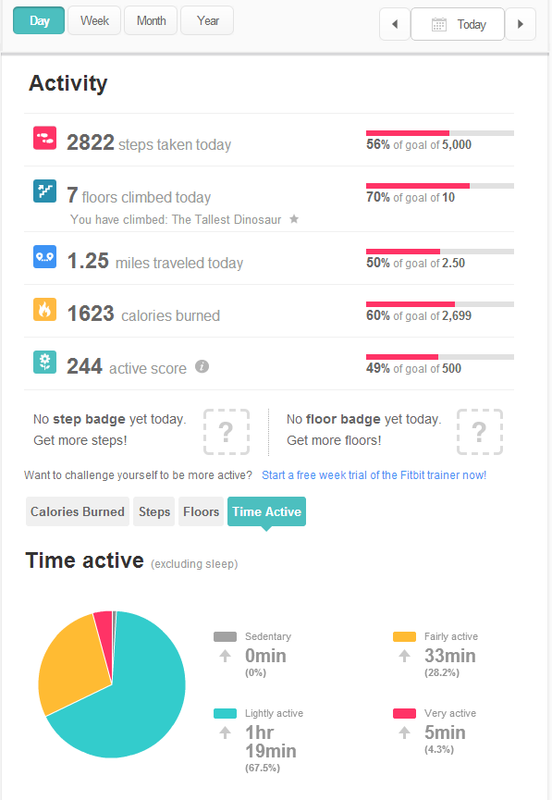 Love the Fitbit! It was so helpful at Disney. We have the Withings Scales which seem similar and love them too! I so agree with you about all the data. Thanks for the shout out! I love that both the fitbit pieces integrate into the single app on my phone. That’s a great boost IMO. I loved your post… glad the trip to Disney was all good! Janice, you are motivating me to exercise … I KNOW, you are probably falling off your chair right now! I’ve been thinking about getting a FitBit, but I think your Blog entry sold me. Maybe by the next meeting I’ll be sporting one. Thanks for the great review, hope to see you Tuesday! LOL Julie! Thank God I’m lounging safely on the sofa! Had I been on a small chair I may have too! What’s nice is I took time to establish what was my base & then I set an attainable goal. I need to raise it now. Some small things like 15 minutes on the exercise bike and getting a little more walking in at the office has started to mount up. It is the small things, not big ones that I’ve started with, I’ll get to the ultimate goal slowly but at least its getting better! Great post — it certain has given me something to think about. Do I want a system that tells me what I’m NOT achieving (in addition to the achieving part)? Perhaps … could be a good item for my Christmas list this year. When you are eating a meal, avoid certain kinds of toppings that could add a lot of calories. Salt is one of these toppings that is not only bad for your body if consumed in bulk, but can slow your functionality and make you feel haggard during the day. Avoid sodium and salt in the foods that you eat when dieting. Thanks. I do pay attention to sodium in processed foods and pay attention when I use salt. I have a Body Media Fit, but I am dying to try this out. I love that it is so small… my armband is a bit obnoxious lol. LOL! There is an armband you can wear, but I usually clip it to a pocket or even my bras strap! LOL! It really is pretty awesome.